A documentary film on child labour was broadcasted on television. I have not thought this deeply. I just said evil is evil. N.B. 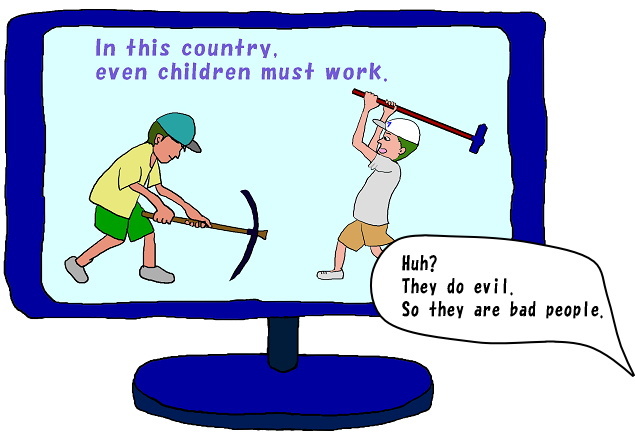 The writer makes no assertion at all about good and evil regarding child labour.